"It is impossible to make good use of your time without a set of well-defined goals." 1. Specific - the first step is to make your goal specific. What do you want to accomplish? 2. Measurable - chart your progress along the way. 3. Achievable - personal abilities, skills and available time must be taken into consideration. 4. Realistic - some goals might require more time or resources that you do not have. Starting with the right mind set and attitude makes such a difference. 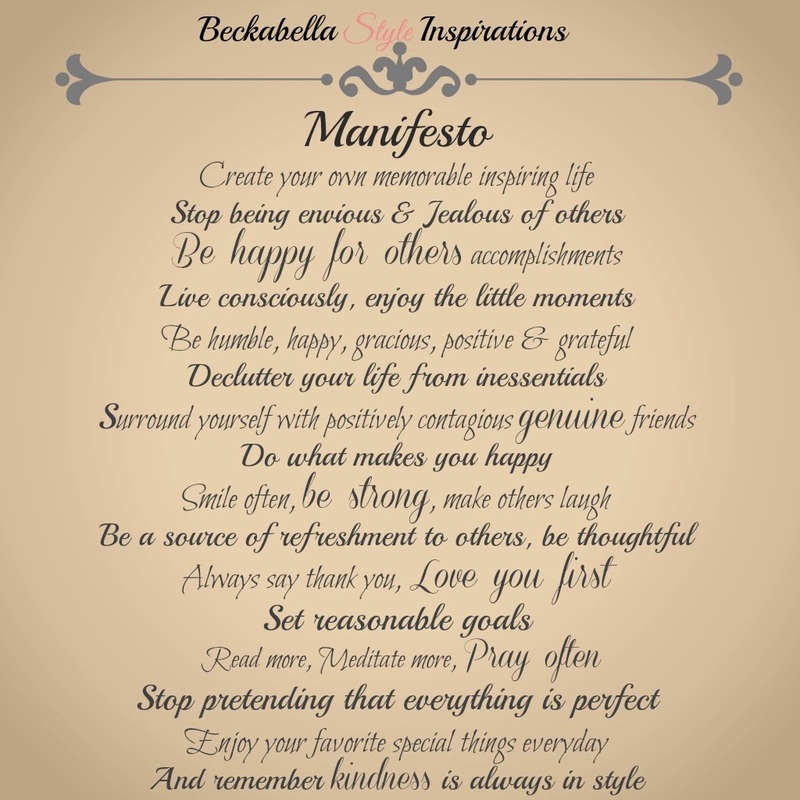 Knowing most people are visual as I am, I thought I would share my manifesto with you. 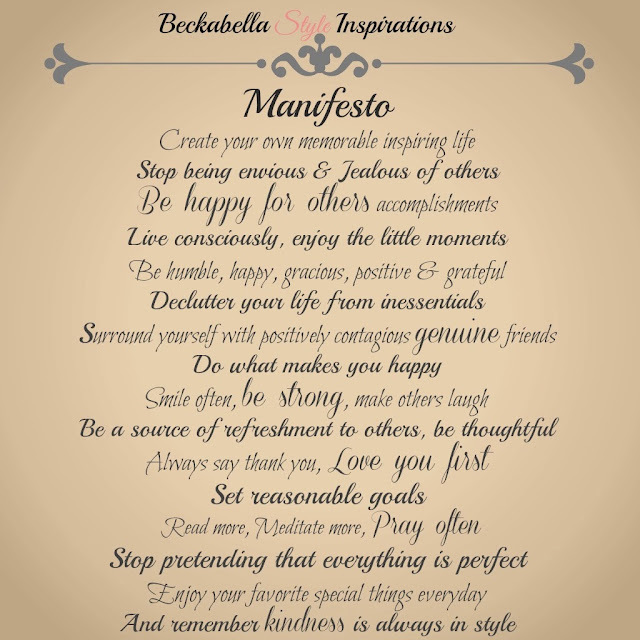 These are truly some of the qualities that I constantly work on and try to live by every day. The countdown begins now! What are you going to do with your remaining three-hundred-and-sixty-four days?